Based the Borders of Scotland, we work throughout Scotland, Cumbria and Northumberland. 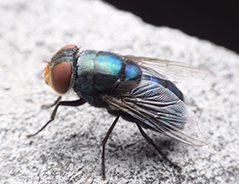 Our approach to pest control is one based upon sound ecological principles. With a background in ecological management, we are skilled in balancing the needs of the environment with the successful removal of the pests concerned. Our Principal Dougie McKenna has extensive experience in not just pest control, but in broader wildlife management, and is expert in devising and implementing programmes to both remove and to prevent the return of unwanted animals, rodents, insects and birds. He also specialises in working with protected native species (such as bats, badgers, reptiles, amphibians, birds, deer, raptors and other mammals). Increased public focus on ecological issues means that the methods we employ are even more relevant than ever, ensuring that wherever possible our methods are humane and respectful of the environment. In some cases we have devised innovative solutions to complete the job, with a minimum of disturbance to wildlife and ecological habitats. Border Pest Control Services can also act as on-site Senior Ecologists, to provide practical advice and to spot potential ecological constraints at the earliest opportunity. We were the founding members of the Countryside Pest Control Association, which has become the National Pest Technician’s Association, and for which we have been the Scottish representatives for many years. In addition to working with private individuals and farmers, we work with the MOD, Dumfries and Galloway Council, Scottish Borders Council, Western Isles Council, Northumberland Water, BAM Nuttall, IKM Consulting, The Royal Botanical Gardens, architects, housing associations, and a variety of construction companies. Whether you run a farm, run a business or have a pest problem in your home, get in touch with us. We’d be delighted to help. 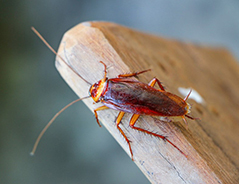 We control, contain and remove unwanted pests – those that destroy your home, infect your animals, or damage your environment. 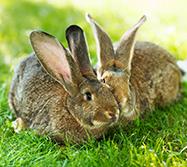 Whether it’s preventing seagulls nesting in your car dealership, removing rats from the basement, bats from the belfry, or Peter Rabbit from your vegetable garden, Border Pest Control Service is a one stop pest control service. So whether you manage a large farm, a factory, or have unwelcome guests at home, talk to us. We’ll find a solution that works for you. Common in both the garden and the countryside, they are very agile, and can either climb over, dig under or just plain jump through most fences. They eat a huge variety of vegetation and can breed up to eight times a year. Their offspring can start breeding at 3 months. 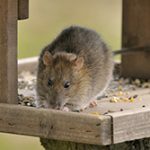 Rats and mice like to live in a warm dry place with lots of food and water to hand – so unsurprisingly, they can often be found in our homes – especially in winter. A mouse can squeeze through a hole only 1/4” wide, so they are especially difficult to keep out. Rats and mice must constantly find things to gnaw, as their teeth do not stop growing. 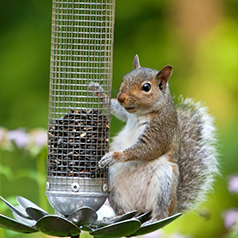 Practically speaking, this means that cables, insulation, wiring, car upholstery, clothing, dried food…almost nothing is safe from our rodent friends. 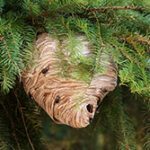 Infestations of wasps, bedbugs, cockroaches: we are expert at removing small pests as well as large ones. Cockroaches, for example, are nocturnal insects. So if you see a cockroach during the day, it may suggest an infestation. Tending to be found behind fridges, cookers and sink units, they prefer dark, moist places to hide and to breed. If you think you have some of these un-invited guests, please call us! Honey Bees, Bats and birds. We’ve many years’ experience of excluding birds from a variety of buildings including scheduled monuments, listed buildings, and business units. In some cases (and particularly in the case of wild birds and bats), species are protected. At Border Pest Control Service, we not only recognise protected species, but we are licenced to work with them. So whether it’s a newt or a night owl, please get in touch if their presence is becoming pestilent! © Copyright 2015 Stones Wildlife Management. All rights reserved.